A huge THANKYOU to everyone who jumped on-board in 2008!! I had a spectacular year – launching the on-line radio programs Tokyo Expresso & Jet Set UK and producing the events Sky High, Sonic Boom, Jet Set UK & Presentific Experience. Here’s a pic I took at sunset on December 31 2008 from the Park Hotel Tokyo where I DJ’d on new year’s eve – the sun setting behind the Tokyo skyline & a majestic Mt. Fuji. Happy New Year!! 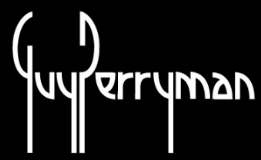 I’m now planning a couple of big, fab events for 2009 & Guy Perryman Membership Black Card holders will soon receive some priority information & access to a few very cool events & experiences..
Mt. Fuji Tokyo Sunset December 31 2008. This entry was posted on Thursday, January 15th, 2009 at 9:51 pm and is filed under Check-In News, Events & Experiences. You can follow any responses to this entry through the RSS 2.0 feed. You can leave a response, or trackback from your own site.